Annie Hamilton may be new to this community, but her ethos rings so true with our values. Annie is passionate about the connection between the designer, maker and customer and this very principle is why we do what we do at FK! 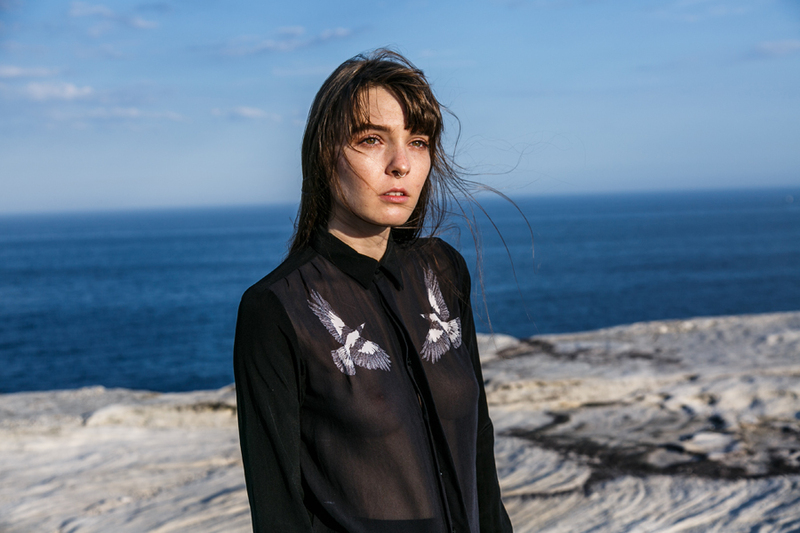 Read on to discover more about this emerging Sydney designer and be sure to try one of these beautiful silk pieces at our Sydney market this may. Ps. Congratulations to Annie for winning the Frankie Good Stuff Award for Fashion! Hello! I’m a designer and musician from Sydney. When I finished school I spent several years at COFA studying textiles, graphic design, jewellery, photography and drawing, but I was touring a lot at the time so I ended up dropping out of uni to focus on music. Last year I decided to get back into textile design, with a plan to design a small range of silk scarves; I had made silk scarves when I was at uni, so it seemed achievable. 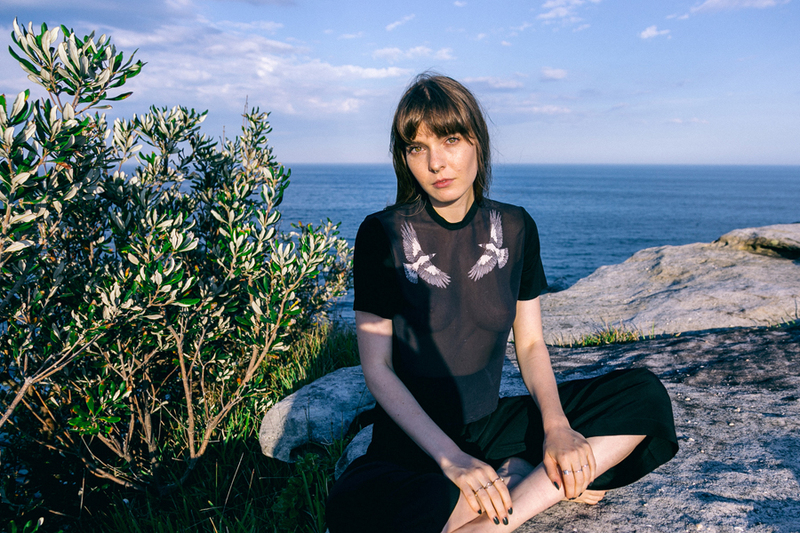 That plan escalated when I had a chance meeting with Christiaan from the Fashion Production Company – a small garment production company in Sydney. 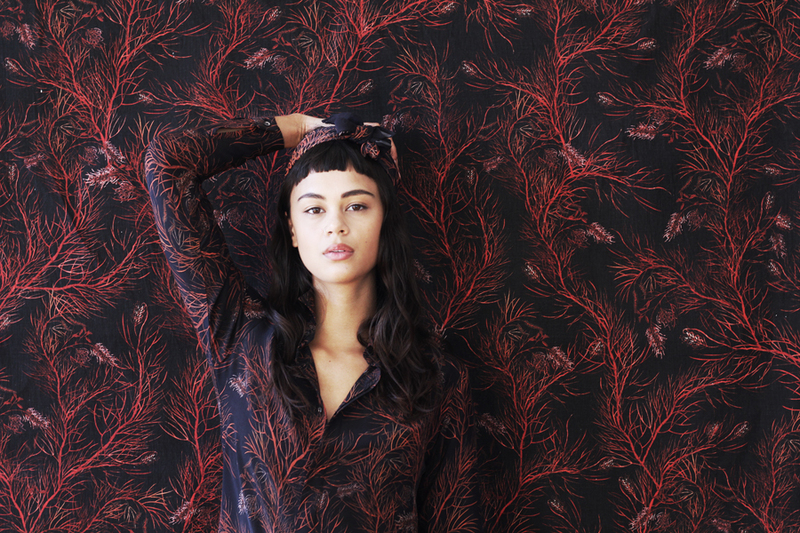 I decided to do a small line of silk clothing that has been digitally printed with my illustrations, and launched the label late last year, just in time for the December, Sydney SS16 Finders Keepers Market. 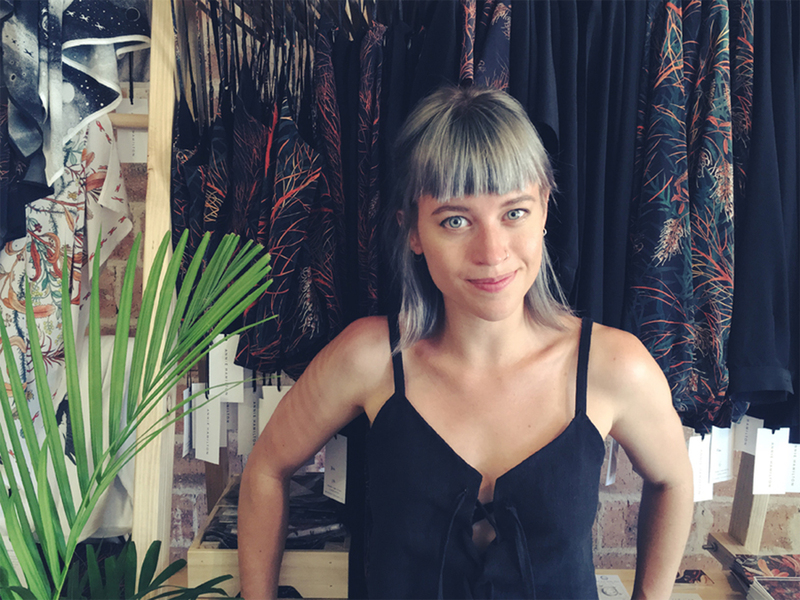 The clothing is all 100% silk and is printed in Alexandria and made in Redfern, Sydney. I had such an amazing time at the last Finders Keepers Market – it was such an awesome weekend and it was so lovely to meet people who were interested in my designs, as well as other designers. Being able to explain my process, how the clothes are made, what they’re made from and to give a little insight into the behind-the-scenes of my label was invaluable… so I think my advice would be to wear comfy shoes, get lots of sleep and drink lots of coffee so you have enough energy to be up and chatting to people the entire time. It can get pretty exhausting at times but is definitely worth it. Tell us something exciting that you have planned for annie hamilton for the next 12 months? At the moment I’m trying to plan a few little trips out of Sydney to work on new prints and new styles for future collections. I spend a lot of time in Jindabyne so I’ll definitely try to get down there for a few weeks to get lots of work done – it’s so beautiful down there, and kinda eerie. I find that to really delve into creative work it helps to get out of Sydney, so I have less distractions. My label is still very new and I’ve never had any experience in fashion or anything, so I’m also just really excited to see how it develops over the next 12 months. I still have a lot to learn but I’m really enjoying the process. 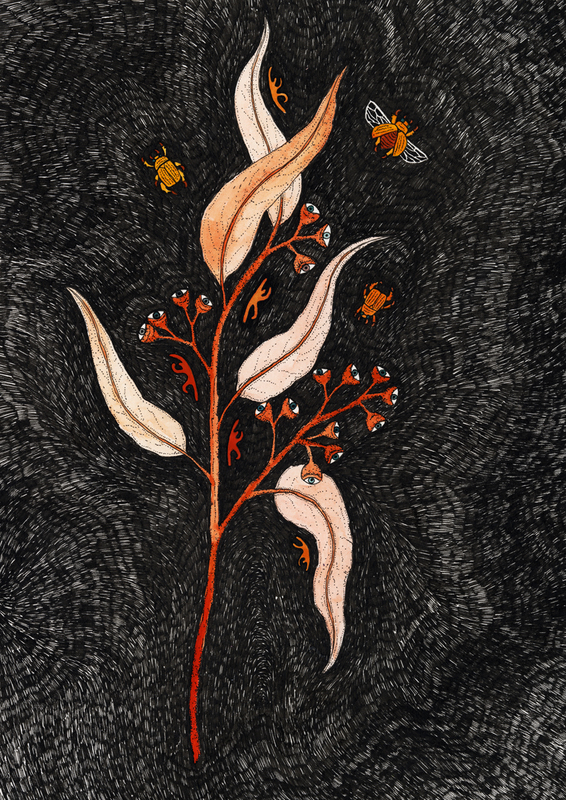 Image features ‘The Gumnuts Are Watching’ art print – illustrated by Annie Hamilton and printed in Sydney. I’m going to say Instagram… it’s an incredibly useful tool and I don’t think I’d be doing what I’m doing without it. It’s such a great way to communicate with people, discover new things and make new friends. I think it’s really important to show people the inspiration / process / behind-the-scenes of what you’re doing, so they understand what goes into making a product and why you’re doing it. With Instagram I can show people every step of my process, from sketching and developing the prints to making the samples, and can also introduce people to the lovely makers who sew my clothing. In a fashion industry that is dominated by fast-fashion I think it’s incredibly important to bring back a connection between the designer, the maker and the customer.